At Best Cleaners, we care about our customers, their clothes, and the environment we all share. That’s why we use the environmentally-friendly GreenEarth® dry cleaning method, an exclusive process that replaces the petrochemical solvents (PERC) traditionally used in dry cleaning with liquid silicone. Liquid silicone is an odorless, colorless solution that is an excellent carrier for detergents, has ideal properties for fabric care, and is better for the environment. The liquid silicone used in the GreenEarth process is a safe, natural byproduct of sand. Liquid silicone degrades into sand (SiO2) and trace amounts of water and carbon dioxide if spilled or released to the environment. Because of these characteristics, it is recognized as safe for air, soil and water by the U.S. Environmental Protection Agency (EPA). Cleaning with GreenEarth® silicone solution is different in two important ways. First, it has very low surface tension, and is very light in weight. Surface tension is what causes water to “bead up” on fabric. GreenEarth’s low surface tension allows it to more effectively penetrate the fabric fibers and lubricate away the dirt particles. And because it weighs a lot less than PERC, silicone cleans and rinses more gently, reducing wear and tear on fabrics. Second, liquid silicone is chemically inert, meaning it does not chemically react with textile fabric or dyes during the cleaning process. This minimizes abrasion to and/or swelling of fabric fibers, eliminates traditional issues with removal of dyes and optical brighteners, helps maintain the soft hand of garments, and prevents shrinkage. Result? 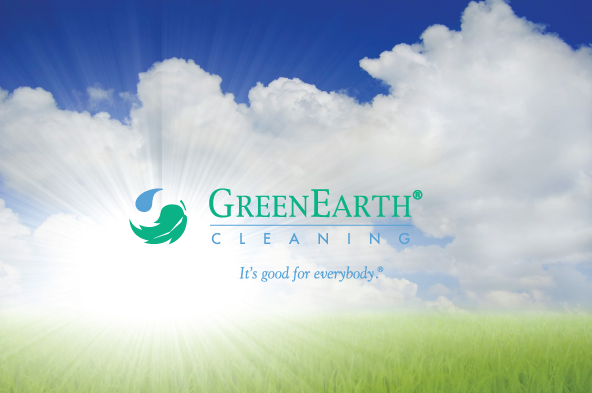 A wider variety of clothes can be safely cleaned with GreenEarth®. Delicate silks, suede and leather trims, beads, sequins, painted garments, specialty buttons and trims, couture garments, heirloom fabrics and other “problem” items are no problem at all. Traditional dry cleaning using PERC leaves a telltale chemical odor on clothes and household linens, but those cleaned in GreenEarth® have absolutely no odor. Clothes are fresh and clean right out of the bag. Most people find petrochemical residue distasteful, but some people with asthma and skin sensitivities find it can make them sick. GreenEarth® solution is non-allergenic and non-irritating; it is so safe you could rub it on your skin. In fact, you probably already do. That’s because GreenEarth® solution is pure liquid silicone, the same base ingredient found in everyday shampoos, conditioners, skin lotions, and antiperspirants.